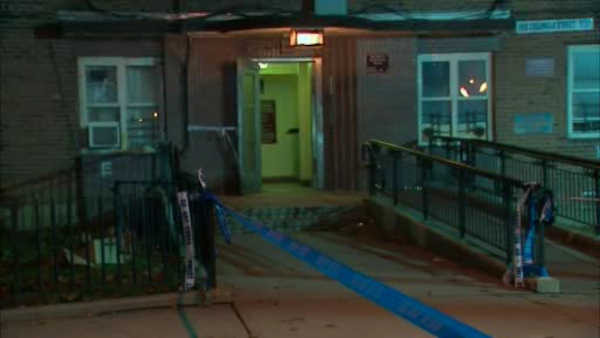 RED HOOK, Brooklyn (WABC) -- One man is dead and another hurt after gunfire broke out inside a New York City Housing Authority complex. It happened late Sunday night inside the Red Hook Houses in Brooklyn. One of the victims was found with gunshot wounds inside an apartment. Police say 20 minutes later a 33-year old man was found shot inside the lobby of another building. Two guns were found at the scene, and investigators say the shooting may stem from a botched drug deal.